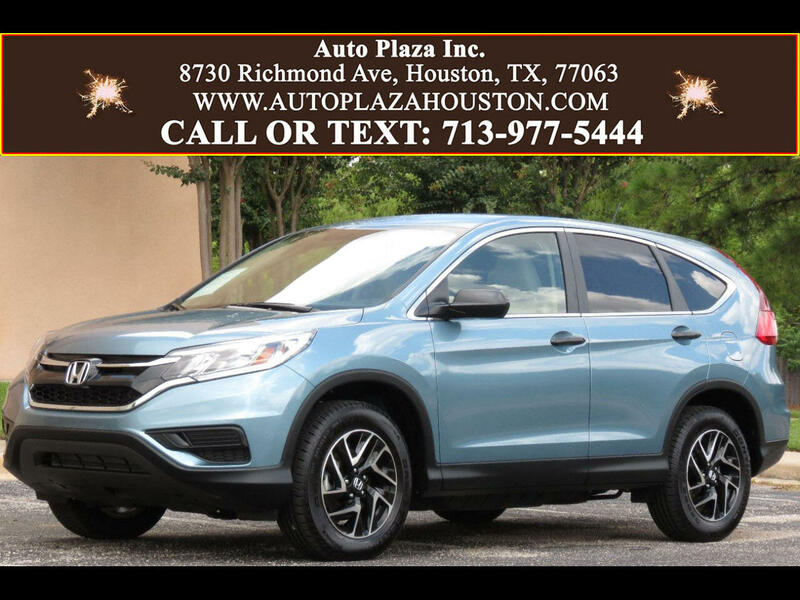 Used 2016 Honda CR-V SE 2WD for Sale in HOUSTON TX 77063 Auto Plaza, Inc.
With Remaining Factory Bumper to Bumper Warranty Good Thru 06.11.2019 or 36k Miles!!! FOR THOSE WHO LOVE ADVENTURES!!! Auto Plaza Proudly Presents this SPACIOUS Low Mileage 2016 Honda CR-V Special Edition with a CVT Automatic Transmission! This Car has Earned itself a place in the Hearts of People Everywhere since it was first introduced to the Market. Made Even Safer it has - Multi-Angle Rearview Camera with Dynamic Guidelines, Bluetooth Hands-Free and Streaming Audio, SMS Text Message Function, Vehicle Stability Assist with Traction Control, Hill Start Assist, Anti-Lock Braking System, Tire Pressure Monitor, CD/ MP3 Player, AUX / USB PORT, Illuminated Steering Wheel-Mounted Controls (Cruise/Audio/Phone), Speed-Sensitive Volume Control, Rear Privacy Glass, Black Door Handles, Variable Intermittent Windshield Wipers, Rear Window Wiper/Washer, Center Console with Storage Compartment, Beverage Holders - Front and Rear, Tilt and Telescopic Steering Column, Maintenance Minder System, Tachometer, Eco Assist System, and Much More! This CR-V is PERFECT for those FAMILY ADVENTURES. It has enough High Tech Features to Keep YOU ENTERTAINED, and a Fuel Economy Indicator that helps you SAVE GAS! So, CALL TODAY to Schedule a TEST DRIVE!!! Financing Available!